, It's a Wonderful Life , and A Christmas Carol . However, if you want to check out holiday movies with a lil' color, this list is for you. There have been a string of Black holiday films (Perfect Holiday , This Christmas ) in the past five years, but one could argue the success of Queen Latifah 's Last Holiday rejuvenated the trend. The film is a remake from 1955 with Latifah playing a woman who finds out she only has weeks to live. She spends her last holiday doing all the things she never had a chance to do. Latifah's presence carries the film and her co-star, LL Cool J , adds some flavor. A fun, light-hearted film -- and any excuse to see Vanessa Williams on camera is a plus. Before Williams was a diva on Desperate Wives she played Ebony Scrooge (Ebenezer Scrooge - get it?) in the 2000 VH1 production, A Diva's Christmas Carol, a modern and divalicious remake of Charles Dickens ' A Christmas Carol . 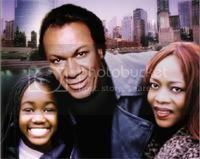 A Diva's Christmas Carol is an amusing watch and includes appearances from Brian McKnight and Chilli of TLC . Ving Rhames in drag is more like a horror flick during Halloween; however, for better or worse, Holiday Heart is a classic. Rhames is a drag queen named Holiday who is a staunch Christian. Wanda (Alfre Woodard ) is trying to care for her daughter while battling drugs. 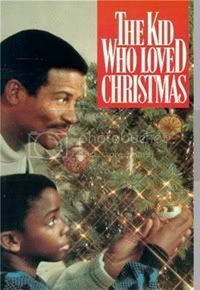 Rhames becomes a parental figure with the story's climax hitting on Christmas Eve. 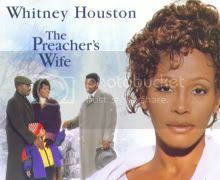 The Preacher's Wife would be Whitney Houston 's last big screen film appearance and probably her best acting to date. The Preacher's Wife starred Oscar winner Denzel Washington and was a story about a preacher who prays for help with his struggling church. His prayers are answered with the help of an angel (Denzel Washington) who falls for the preacher's wife -- Whitney Houston's character. A great holiday film for the entire family. Plus, Nippy belts out her hit "I Believe in You and Me." A made-for-television movie that was produced by Eddie Murphy Productions and starred Cicely Tyson , Vanessa Williams , Della Resse , and marks Sammy Davis Jr. 's last film appearance. The Kid Who Loved Christmas is a touching story about a child whose only wish is to be with his father for Christmas. While not well known, one would think with all its star power that the movie would at some point make it to DVD.